I’ve been thinking about creating a homeschool board member manual for several years. Well, 2017 is the year it happened! I am pleased to offer this helpful (and beautiful) Homeschool Organization Board Manual. This manual is a customizable template for you to create your own board member manuals. And then I got carried away and created a huge amount of other information. The Homeschool Organization Board Manual is 55 pages. It’s like a board training guide. All this is to help your board get organized, trained and ready to run a successful homeschool organization! Best of all, this Homeschool Organization Board Manual is customizable! It is delivered to you as a Word document, so your homeschool group can put their name and year on the cover, type specific information in the document, and print out pages for each bard member! And it’s beautiful! Homeschool mom, Tara Mitchell did the graphic design for me so it’s lovely to look at too! And it’s very affordable! $9.95. You only order one copy for your organization and then I give you permission to print off as many copies as you need for each board member! I hear from a lot of homeschool leaders that they have board members who don’t do much. How frustrating. Do something. The problem is likely to get worse and a board member who is not participating can demoralize the entire board. But stay hopeful. Many board members need a reminder to be more conscientious. You’re all in this together. 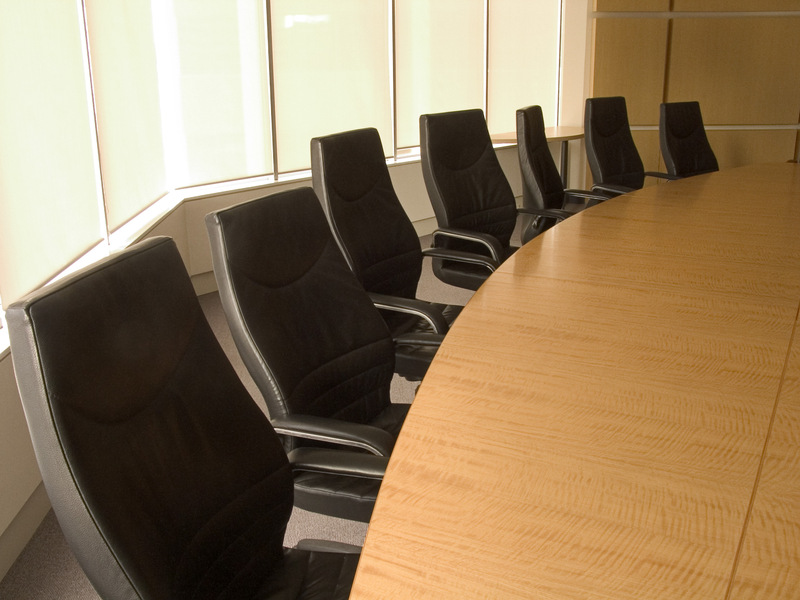 Some inactive board members may need to be let go. They may be grateful that you’ve given them a graceful way to reduce their work load or even leave the board. Here’s a good list of Requirements of Board members.to get you started. Hold a board discussion at which expectations are reconsidered and reaffirmed. Agree on a list of minimal expectations for every board member, and ask people to suggest how they might individually help as well. Be sensitive to possible health issues or personal reasons why a good board member isn’t participating as much as he or she has in the past. Remember, homeschool leaders carry a lot or responsibility. Your inactive member may be having health, marriage, or parenting problems that she is not sharing with you. Show grace and compassion and she may be so grateful for your support that she becomes active again. Sorry, but the rest of this content is available only to my email subscribers! I know that’s a little bit sneaky, but I want my email subscribers to get special content like this list of steps to help an inactive board member. Subscribe to my email list and get helpful tips for dealing with a board member who won’t do anything as well as special reports, discounts and and helpful resources that I don’t share on my blog or website. My book, Homeschool Co-ops: How to Start Them, Run Them and Not Burn Out also has helpful advice in picking board members, managing volunteers, and running a successful homeschool organization. My homeschool group’s Board of Directors recently took up a collection from our members as a way of presenting me with an end-of-year gift of appreciation. This was a complete surprise to me, especially when they presented me with a check totaling over $700! The Board collected donations from individual members and then wrote me a check on the group account. I’m unsure of how to deal with this tax-wise. The gift was given with the intent of paying my expenses for our state’s homeschool convention, including the leadership conference. If I returned the check and used the group’s debit card to pay my hotel expenses, would this alleviate the taxes? Thank you for taking the time to answer. I want to make this as easy as possible for group record keeping, and I’m not sure if this is the correct way to go about it. I’m glad my website and books have been helpful. You sound as if you have a great group and I’m sure they appreciate you! It is sometimes difficult to tell if cash is a gift or a payment for services. The difficulty in determining if payment to a worker is a gift or compensation is that you need to determine the intent of the donor. The IRS has a very difficult time determining intent or expectations. We, on the other hand, can usually determine if a payment is a gift because we know the donor and their expectations. It sounds as if the co-op was collecting money to defray the expense of sending you to a homeschool convention. It is taxable income to you with expectation that you will “earn” it by going to the convention (and learning a lot!). If you use the payment on co-op related expenses (like the convention), then you could claim those expenses on your tax return. At the end of the year you should report the $700 as income on your tax return and and then report expenses like the convention fee, mileage and hotel costs as deductions. You may break even or show a small profit. In retrospect, it would have been better if the board had collected the monies and then gave you a nice note saying that you won an all expenses paid trip to the convention and used the co-op’s debit card to pay the expenses. These expenses would not be considered taxable income to you since the money never came to you. And the convention is to develop your leadership skills, not for your personal pleasure (although you may enjoy it!). Embezzlement: Could It Happen in Your Homeschool Group? They’re often diligent, caring workers, and yet tempted by seemingly easy cash. Working on the inside, thieves can hit school groups, athletic leagues and churches, especially when they’re surrounded by trusting colleagues and loose security. And according to one expert, because of the disgrace and embarrassment that the crime brings an organization, their transgressions often are not reported. The median loss to fraud for religious, charitable and social-service organizations was $106,000 last year, according to an annual survey by the Association of Certified Fraud Examiners. “We estimate that organizations lose about 7% of their net worth to fraud each year,” said Scott Patterson, the association’s spokesman. Smaller organizations, such as school parent-teacher organizations, are often vulnerable because neighbors and friends are reluctant to offend by suggesting that dishonesty is possible. “This is typically mothers stealing from their own kids,” Shaw said. “The kids are the shills out there selling cookie dough or doing the walk-a-thon, and the mothers are stealing it. I’m sad to hear about embezzlement taking place in a homeschool groups, but I know from homeschool leaders that it can and does happen! How can you prevent embezzlement? 1. Sign up for my newsletter (upper right corner of the website) and receive my report “Best Financial Practices for Homeschool Groups.” If you already belong to my mailing list and still want the report contact me and I’ll send you a copy. 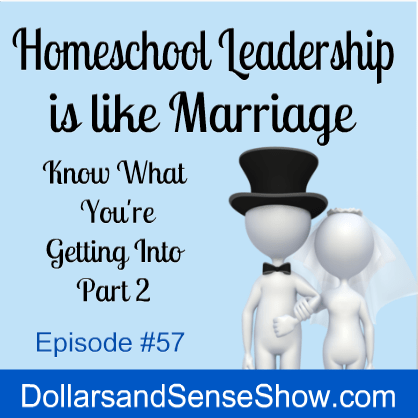 Leading a homeschool organization can be like marriage. It’s helpful to know what you’re getting into!. Carol Topp shares insights on leadership from Hebrews Chapter 13 with a group of homeschool leaders in this 2nd part of a two-part episode. She shares three warning of attitudes to avoid. Listen to Part 1. where Carol warned against trying to meet everyones’ expectations. For more help in leading a homeschool organization check out Carol’s book Homeschool Co-ops: How to Start Them, Run Them and Not Burn Out. I think we have 3 people willing to be on the board. Their main question is time commitment. I have no idea what to tell them. Do you have any support materials to help leaders judge this? Board commitment can vary a lot. Some homeschool organizations need everyone to pitch in on co-op day, but the board may only meet once a month for 1-2 hour long meetings. The more important issue is that potential board members consider their duties as board members. Each board member has a fiduciary (i.e. legal) duty to manage the organization and its funds within the purpose/mission of the organization and not for private gain or benefit. The board’s job is to govern the organization, be responsible for the management of funds, and be responsible for its programs. From Ohio Attorney General Guide for Charity Board Members comes this excellent list of the duties of board members (with my comments and links added). Read and understand mission, vision, and governing documents. I recommend a board binder for important documents. Attend board and committee meetings. Be informed and prepared to participate in decision-making and oversight. Exercise same care as a prudent person would in the handling of their own affairs. Be prepared to put organizational objectives above self-interest. Establish and follow written policies concerning conflict of interest situations. Disclose personal financial interests when needed/excuse yourself from voting. See a sample Conflict of Interest policy. Avoid entering into business relationships between board members and the organization. Develop policies that assure the financial responsibility of the organization. Get my list of best practices when you sign up for HomeschoolCPA’s email list. Keep accurate and complete records of income, expenses, investments, and minutes. Develop budget as a blueprint for program plans and all organizational spending. My book Money Management in a Homeschool Organization can help you create a budget. Develop fundraising goals and assist the organization in acquiring adequate resources. Understand and comply with governing documents, including bylaws and code of conduct. Sample bylaws. Know and comply with state and federal laws governing non-profit organizations, including registration and reporting requirements. If you’re unsure about what your filings requirements are, contact me and we can discuss it. My book, The IRS and Your Homeschool Organization, will also be helpful. I hope this list of duties doesn’t scare away your potential board members! I have found that serving on a nonprofit board has been one of the most rewarding things I have done. 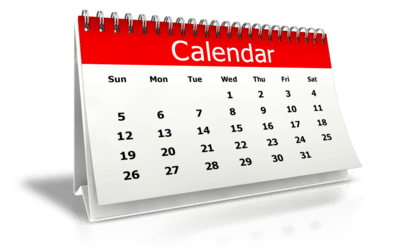 This blog post from Nonprofit Law Blog had a great idea: Create a calendar of topics your board should discuss every year. Welcome new board members and give them a history of your organization, its purpose, an understanding of their duties and a board binder. Read over the bylaws and review your mission and purpose statement. Discuss new programs and activities. Decide on discounts and appreciation gifts for volunteers. Go over best practices to avoid fraud. Read them here. Implement changes as needed. Authorize committees, recruit members and delegate duties to them. Review your conflict resolution policy. How do you solve conflicts. Read The Peacemaker. Review your risk areas, safety policies and insurance coverage. Evaluate any paid workers, independent contractor agreements, and employment practices. Recruit, nominate and elect new board members. Set a budget near the end of the year for the next year. One month after end of fiscal year file IRS form 990/990-EZ or 990-N and any state forms. As you can see, I have links to articles and blog posts on most of these topics. have many issues for your board to discuss as well. 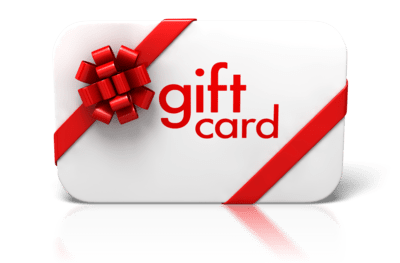 Is this a gift or compensation to a homeschool leader? I just purchased your e-book, Paying Workers in an Homeschool Organization. It only briefly touched upon the issue I am most interested in, and I am wondering if you have additional resources to answer my question. $300-$500 in cash gifts collected from members and given directly to the chairman. She is the only one to receive gifts and perks out of the co-op budget. This has been a very difficult conversation at our co-op because our chairman does do an enormous amount of work. When I read the list of “perks” your chairman receives I was shocked! Wow! Most board members are happy with flowers or a small gift card. According to the IRS, an officer who is paid is an employee. That means the gift cards, tuition discounts, and cash she received should have been reported to her on a W-2 and your group was supposed to pay employer taxes (SS/Medicare) on her “wages” and file quarterly tax forms with the IRS! You can, of course, start paying her a salary that she will report as taxable income to the IRS. My new book Paying Workers in a Homeschool Organization can help with that!